﻿ For its creators, there can sometimes be nothing more important in life than music. As often as the notion of music “saving lives” is met with derisive snorts, it offers a sole sense of escapism from any harsh realities. Worriers’ Lauren Denitzio knows that all too well, not only having to endure open heart surgery at the age of 25 and losing friends to both suicide and substance abuse, but also the tribulations that come with growing up queer. As such, the title of sophomore album Survival Pop speaks for itself, collecting all of those elements into Worriers’ music, not just as a coping mechanism, but as a form of empowerment by standing against them. It’s very similar in principle to what Against Me! have been doing on their last couple of album – fitting considering Laura Jane Grace produced Worriers’ 2015 debut Imaginary Life – except where Against Me! at their best are characterised by biting acerbity, Survival Pop goes in the direction of ragged, wiry indie-punk, ideal to represent the patchwork collection of struggles and ideas in Denitzio’s head, but one that could hit with a bit more force to really turn into something special. As it stands, Survival Pop‘s message and intent towers about its execution in how well it works. Actually, that mightn’t be exactly true, especially when considering Denitzio’s delivery and the effects that has. There’s a simultaneously upbeat energy yet weariness about it with the same rasp and trill as Alanis Morrissette or Dolores O’Riordan, and even if Denitzio mightn’t be as powerful of a vocalist as those two, the slight inflections over My 85th Rodeo or WTF Is Sleep come through with shots of personality when they’re needed most. And this especially is an album where personality comes to the fore, especially for where Denitzio takes it. There’s an underlying frustration on tracks like Not Your Type and Gaslighter, but rather than stewing in it all, Survival Pop translates that over into joyous celebration of actually making it out unscathed. There may be pain beneath this album, but Denitzio continues to acknowledge the light at the end of it all. Under that analysis, Worriers’ decision to take their indie-punk direction makes more sense, a lighter take on what is still an identifiable punk template to highlight the virtues of the titular survival. But at the same time, there’s a feeling of ephemerality about a good portion of this album that doesn’t sit well with the messages Denitzio is trying to convey. It doesn’t help that indie-punk as a genre has a bad habit of falling into very defined ruts, but when that’s paired with a track like No Thanks which takes its time to get going anyway, or a slew of other cuts around this album’s mid-section which really does begin to drop, and Survival Pop loses some of its intended impact. What should’ve been a big, triumphant statement through and through ultimately ends up as something of a whimper more than a bang, one that can honestly be more forgettable than it really should. And while, even with that, Survival Pop isn’t a bad album, but it could’ve afforded to be a lot more, simply by cutting itself down and relying on a gruffer, grittier style that would’ve benefited what it’s trying to say. Because, what it is trying to say has a lot behind it, especially given what Denitzio has been through to get to this point, meaning that technically this album achieves what it originally set it to do. It could’ve been done a lot more forcefully though, and with more to set it apart from a rapidly building crowd. 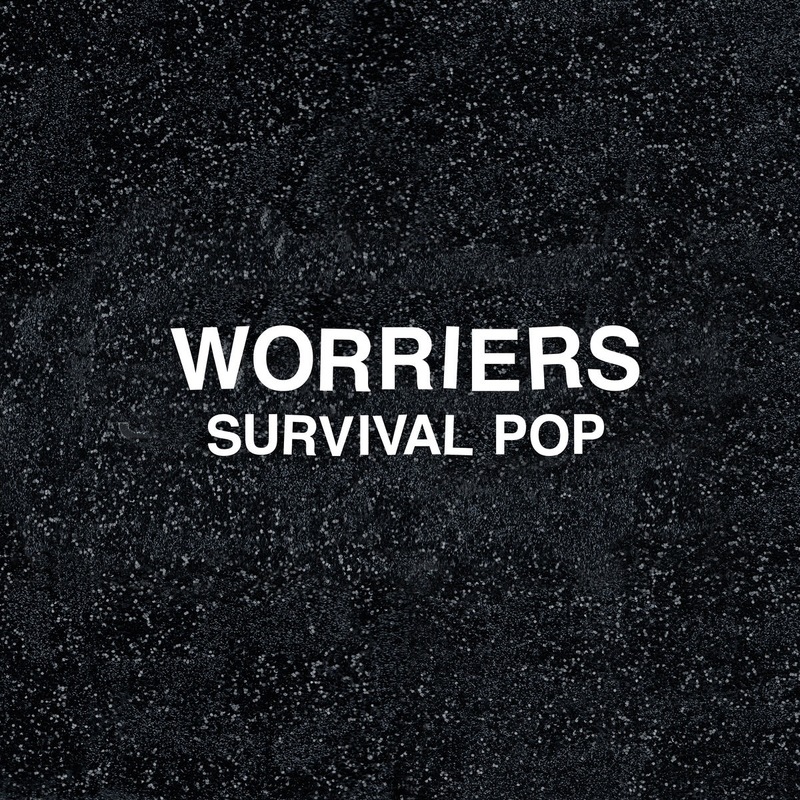 ‘Survival Pop’ by Worriers is released on 29th September in SideOneDummy Records.